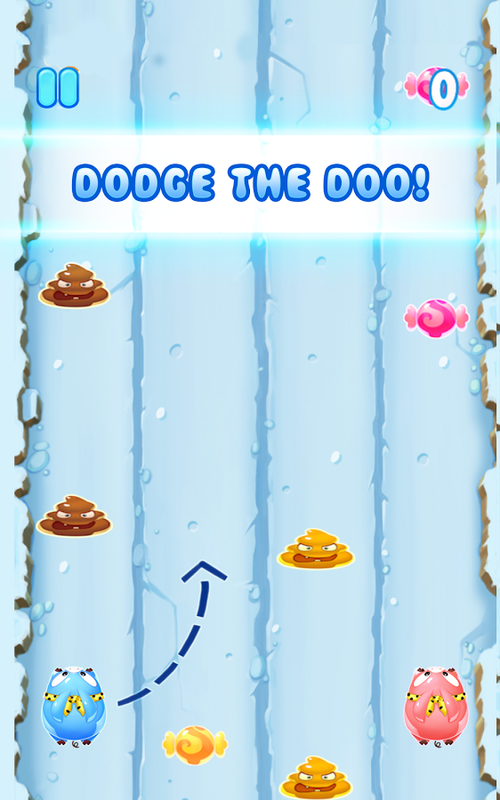 Control TWO pigs at the same time and endlessly run, eat CANDY and dodge DOO. 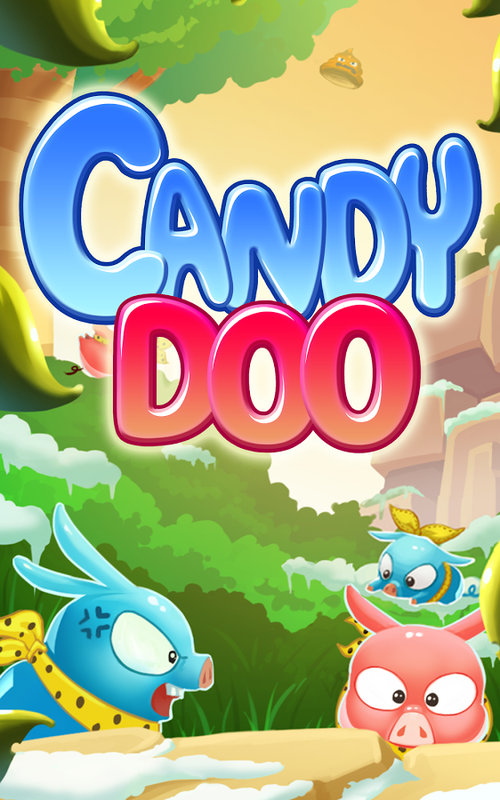 Watching what you eat has a whole new meaning with Candy Doo! How long can you go? 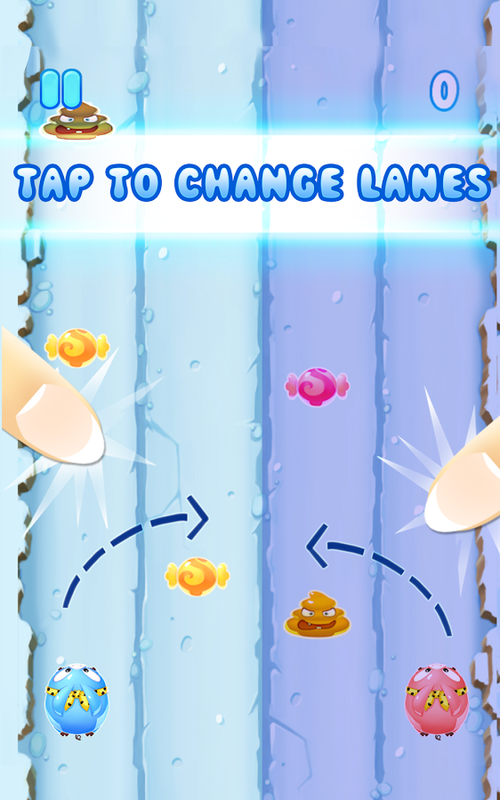 *************************************************************************************FEATURES â€¢ ONE PIG, TWO PIGSâ€¦Control two pigs and guide them through 4 lanes of obstacles (doo) and candy. No candy must go uneaten. 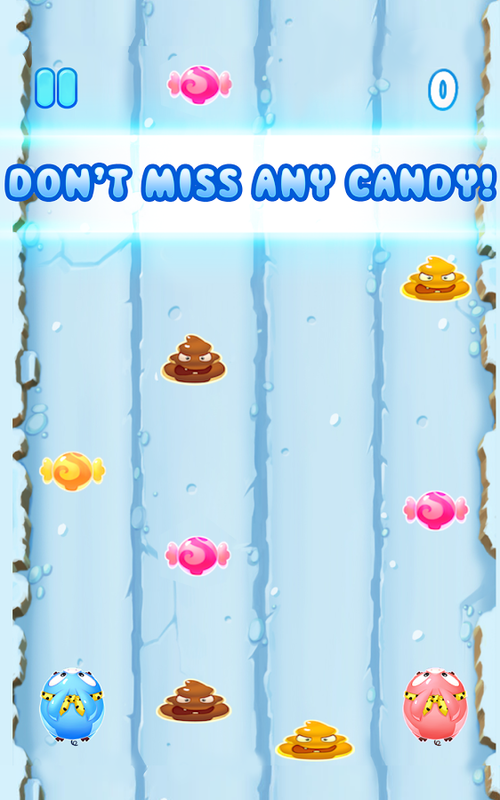 â€¢ SENSORY OVERLOADâ€¦..Shorts spurts of extreme concentration is needed to run down the candy laden highway. Can you make it to 10? 50? 100? 1000!?!?!??! â€¢ SO YOU WANT A BACKSTORY? FINE! The date: October 26, 1985 at 1:20am. You: A human who finds a time traveling vehicle and embarks into the distant future toâ€¦..New Year's Eve, 1999. Cleverly disguised as a pizza delivery boy, you accidently fall into a cryogenic chamber and are frozen in your current physical state for exactly 1000 years. Upon awakening, ironically, you find the world frozen over and hear the musical murmurs of people lyricizing something about letting it go. You donâ€™t remember the other words, just those. Hey look! A Wizard! Now you are turned into a pig. So is the professor next to you. 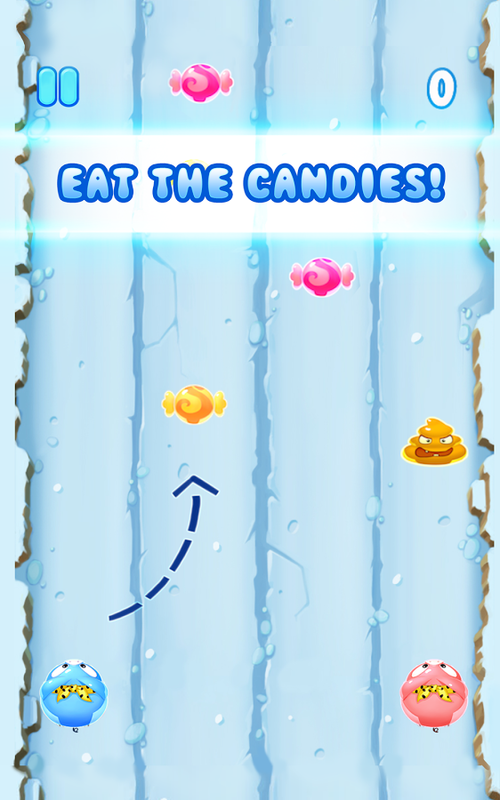 Welcome to a world where the only sustenance is candy and the sweet *sugar rush that makes you endlessly run. *The sugar substitute Xylitol, known to cause gastro-intestinal nightmares was found in the candy, hence the doo.